Usually when people set their alarm clock for 3am it’s because they have a flight to catch. More often than not the flight will be taking them to some warm and possibly exotic place to start their annual holiday so the pain of the alarm is quickly replaced by excitement. The cruel interruption to our sleep had an altogether different purpose. No sun soaked beach or lazing by the pool with a G & T for us. 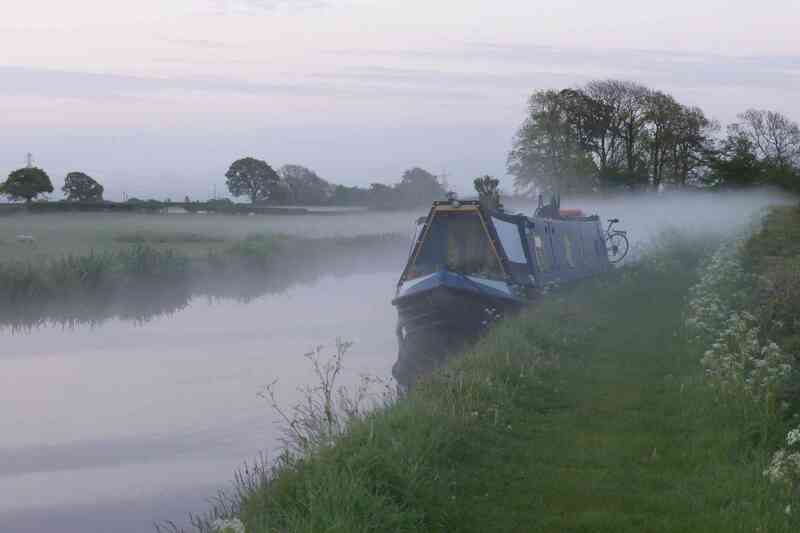 Our destination was a stretch of the Lancaster Canal and the dawn chorus. Sunrise was at 5am and the first birds usually begin to sing an hour earlier so I was worried we might have cut it a bit fine as we made our way down to the tow path. I was also disappointed to hear the steady drone of traffic from the distant M55 motorway. It’s becoming increasingly difficult to get away from road noise these days, even pre-dawn. The motorists were probably all heading for Manchester airport and a flight to some …. oh hang on, we’ve done that already haven’t we? As we descended to the water’s edge the noise faded as this part of the canal is deep in a cutting and we were blessed with near silence. It was cool but perfectly still, not a breath of wind to disturb the atmosphere. The rich smell of damp earth rose to meet us, so much more distinctive this early in the day. We’d made it just in time because the silence was broken at that moment by the beautiful and distinctive sound of a robin announcing the start of what we had come to hear. It was still dark enough to require care as we walked slowly along the path listening to those first few notes. Robins are often the first to sing and this one was soon joined by others and the silence was gradually filled with their cheery song. These soloists were quickly accompanied by the blackbird and its flute like mellifluous tune cutting clearly through the crisp morning air. 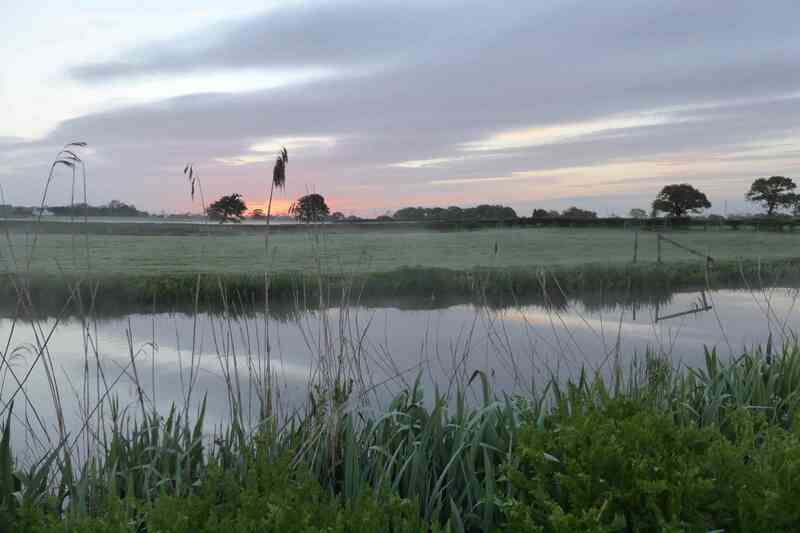 We startled, and in turn were startled by, a moorhen which skittered across the water calling in alarm, its cries of panic momentarily drowning out the early song birds. Creeping past the live-aboard narrow boats so as not to wake the occupants we reached a bench where the canal passes through dense woodland and settled down to listen to the performance. By now it was possible to make out the outlines of the trees against the lightening sky and the mist that was forming at the edge of the woodland. A heron took flight just fifty yards down the tow path and settled under the arched stone bridge to patiently watch for its first catch of the day. By now the bird song was unbroken and first the wood pigeons and then the fabulous wren joined the orchestra. A bat was patrolling on a regular patterned circuit making the most of the final cover of darkness. It would soon be replaced by the swallows. There would be no respite for the flying insects today. We strolled on, passing under the bridge, forcing the heron to relocate temporarily and as we left the woods behind a spectacle of pure magic unfolded. 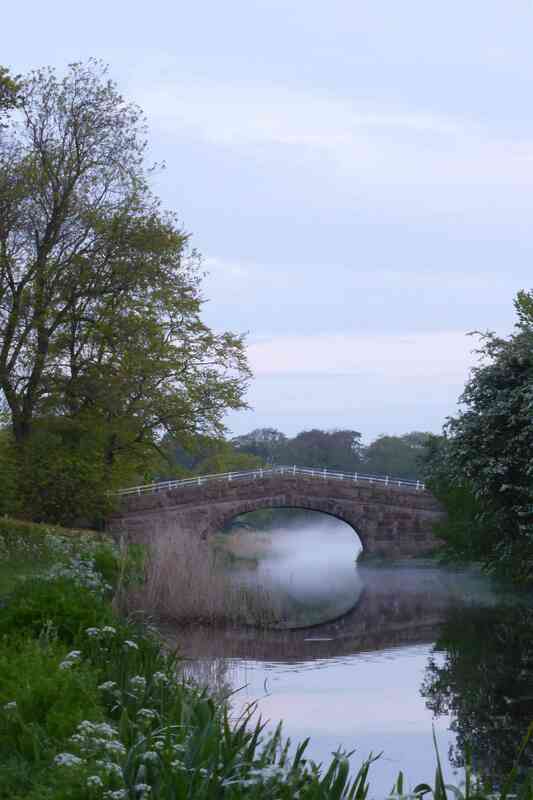 Patches of dense mist clung to hollows and along stretches of the water creating a mystical feel to the scene. 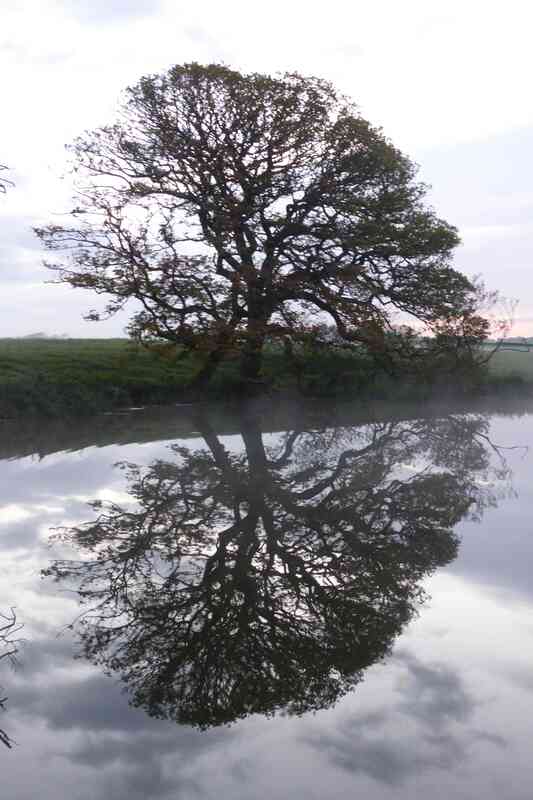 In places the water provided crystal clear mirror images of the trees on the canal bank but then the mist would swallow the image in its cold silky veil. The tranquil scene was broken as a male swan chased away a family of Canadian geese that were getting too close to his mates nest. He flared his wings in a threatening gesture, swimming fast at the goose and letting him know who was boss. The female swan looked on anxiously then settled down again on the nest, fussing to ensure she had her eggs perfectly protected. Calm was restored. The hedgerow was full of the song of wrens and the remarkably loud call of a warbler scolding us roundly for threatening her unseen nest. As the sun finally broke the horizon we turned tail and headed back towards home. The mist was clearing and the cacophony of song had now been replaced by the more familiar individual calls of pheasant, crow and wood pigeon. The performance was over for today and soon it would be over for this summer. For many of these early morning choristers the focus now will turn to raising their young and then preparing for another hard winter or a long flight home. Our experience was well worth the pain of that early awakening and we had the advantage of heading home now to tea and bacon sandwiches before climbing back into bed to catch up on the lost sleep. I couldn’t help but think about those early morning travellers, no doubt waiting nervously in their boarding queues checking and rechecking their passports and tickets. I had to admit to a tinge of envy when I thought of them soaking up the sun but then I reflected on the last two hours and remembered that sometimes the magic is right on your doorstep if you just go and look for it. This entry was posted in Post trip, Walking and tagged airport, birdsong, blackbird, dawn, dawn chorus, Lancaster canal, magic, mist, moorhen, motorway, robin, sunrise, swan, walk. Bookmark the permalink. beautifully written Tony. 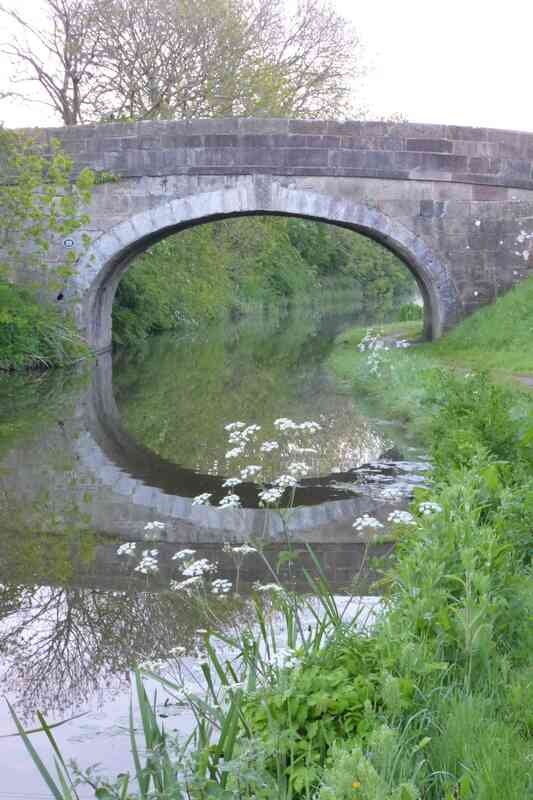 I have kayaked and cycled the Lancaster canal many times so these photos brought back lovely memories. hoping to hear the dawn chorus on Saturday as we are doing a sub24 on Friday night.